This authorized CHFI training seminar is a five day, 35 CPE course offered to you by Intrinsec Security – an Accredited Training Center in partnership with EC-Council. Developed for the IT professional involved with computer forensics and evidence analysis, Computer Hacking Forensics Investigator (CHFI) is a vendor-neutral training program that enables students to acquire necessary hands-on experience with various forensic investigation techniques and standard forensic tools to successfully carry out a computer forensic investigation. The training exercises and provided course material for this official EC-Council class will teach students the necessary skill set for identification of intruder’s footprints and gathering necessary evidence for its prosecution. 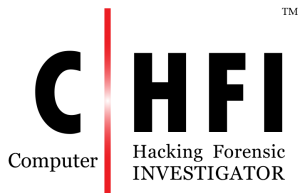 The major tools and theories used by the cyber forensic industry are covered in the curriculum. Additionally, this course will also help students successfully prepare for the CHFI exam. Aside from a reserved seat in an upcoming CHFI class, the resources provided with registration include official EC-Council courseware along with a CHFI exam voucher. Not only that, but you will also gain access to a number of EC-Council’s “self-paced” resources including their online lab environment (iLabs) and practice tests (Test Prep Program). When you combine the instructor-led training with course resources, this official EC-Council class is a great tool for those interested in reviewing computer forensics or passing the CHFI certification exam. This course includes one exam voucher for the most current version of the CHFI exam. This official EC-Council training seminar reviews all 14 comprehensive modules that were created by EC-Council for CHFI, ensuring our students successfully prepare for the CHFI certification exam while also enhancing their overall competencies in computer forensics. CND provides a detailed understanding and hands on ability to function in real life situations involving network defense. CEH provides the knowledge & skills to protect your network, while also analyzing the tools & techniques hackers maliciously utilize. 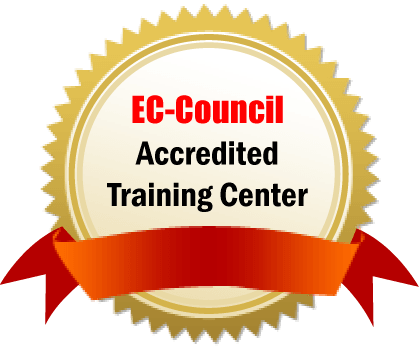 ECSA’s a penetration testing course offering practical hands-on experience with EC-Council’s published penetration testing methodology.